We explained about Transition to Retirement (TTR or TRIS – Transition to Retirement Income Stream) in our earlier post HERE, and today we look at some of steps to set up and the benefits. If your income tax rate is more than 15% then TTR could provide benefits while still building your super, and maintain your current income, but reducing the tax you pay. Check the super fund you are with, or your own SMSF Trust Deed allows a TTR strategy (otherwise you could be in contravention). You start a pension/income stream account with some of your super monies, leaving some in accumulation account, so the employer can continue contributing to your fund. Decide an amount you will “sacrifice” from your current salary that will be paid as a contribution to super (it will be classed as concessional contribution). Draw a regular pension payment from the super, usually a lower or even similar amount to what you sacrificed. It will be PAYG taxed at a reduced rate (concessionally), which means less tax going into the fund instead of your marginal rate, and PAYG will need to be paid by the super fund when paying you, unless you are over 60 when it will be tax FREE! Check the calculations to determine what amounts work best for your case. Always seek professional assistance to ensure laws are not breached and that there is really a tax advantage. 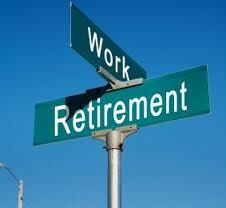 Tax on your pension/income stream and salary should overall be less than your current tax (PAYG). Take home pay can be maintained, while saving tax. No tax on investment earnings in the pension account. You will be increasing your super faster than the employer 9%. Increased super can sometimes mean you could reduce your work hours, and receive a similar income. This entry was posted in Masterclass SMSF, Retirement Planning, Super Law & Compliance, Super Tax and tagged ATO, Contributions, Self Managed Super, SMSF, SMSF Law, Super Law & Compliance, Super Strategy, Tax. Bookmark the permalink.